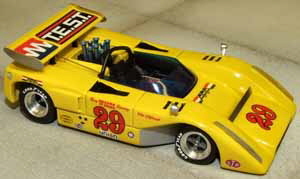 A variety of McLarens M8E from the 1971 Hockenheim race “Südwest Pokal”. All are attractive variations of an interesting but seldom modeled theme. Here the race winner of Derek Bell. Please find the three other versions described on the ordering page by clicking the image. 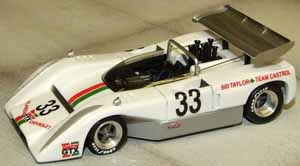 Again the McLaren M8E versions. Here the # 29 of Vic Elford. Three more are available as either finished models or kit. Click the image and you are directly brought to the ordering page.